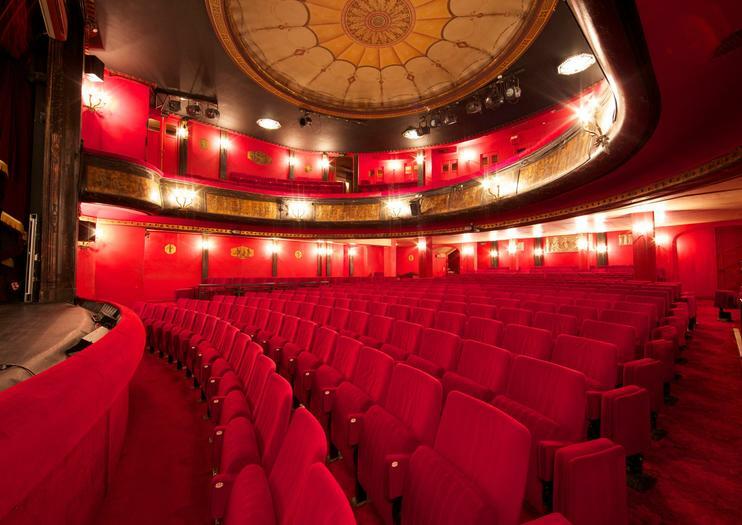 Sitting in Paris’s theater district on the southern edges of Montmartre, the Théâtre des Nouveautés (literally the ‘theater of the new’) opened in 1921 and features a plush scarlet-and-gold auditorium with seating for 585. Designed by architect Adolf Tiers, this is the fourth Parisian theater to bear the same name, the first opening in 1827 on Salle de la Bourse to host comic operas and satirical plays. Today the newest incarnation of the Nouveautés is still pulling in the crowds under stewardship of French producer Pascal Legros, while maintaining the tradition of putting on light comedy and vaudeville farces alongside works by Ionesco and satirical shows. The theater is also home to the wildly successful one-man – and English-speaking – show by French comedian Olivier Giraud, who takes a fly look at ‘How to be a Parisian in One Hour’. Medan Paris är berömd för sin charm, romantik och elegans, är pariserna kända för. . . andra egenskaper. Under denna 1-timmarsutställning av den franska komikern Olivier Giraud, titta på paristernas stereotyper - som oförskämd, korthärdig eller arrogant - lever vid denna sidauppdelning. Girauds spot-on-intryck kommer att hålla dig skratta, och du lär dig att känna igen parisiska ansiktsuttryck och använda ikoniska franska fraser korrekt. Publik deltagande uppmuntras!